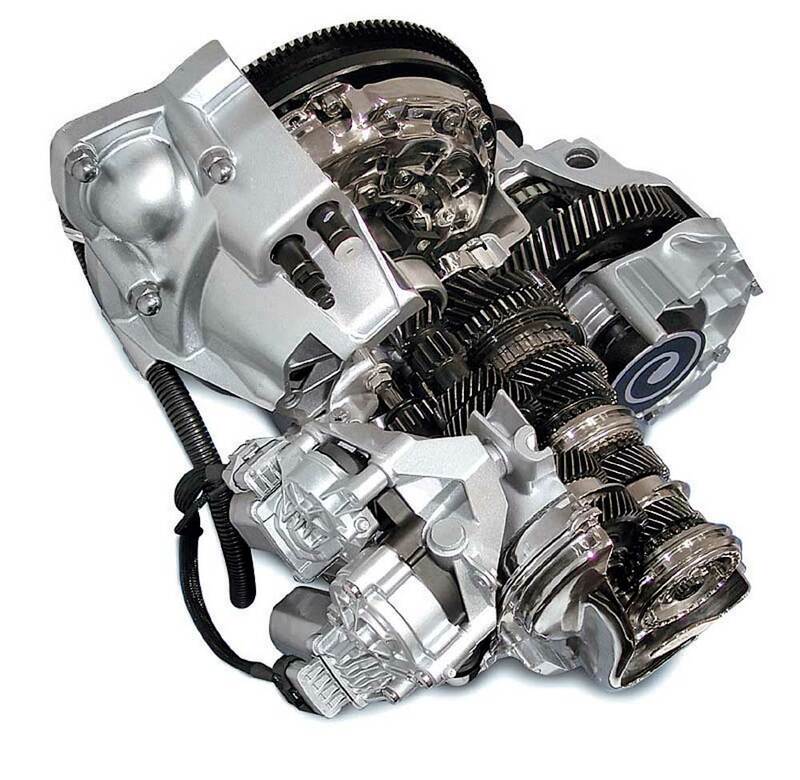 The Easytronic, or semi auto system, comprises of a clutch actuator, a gear selector and a clutch. This duel system gives the driver the option to select either a fully automatic or a manual mode, giving them all the convenience of an automatic but with the control of a five speed manual gearbox; moving the gearlever forward or backward to go up or down the gears. As this system has no clutch pedel, it is ideal for those who hold an automatic only licence. The clutch actuator works on hydraulic fluid, which is operated via a built in master cylinder. It uses two seperate motors; a select and a shift. Quite simply, the select motor will select the appropriate gear acording to the speed of the vehicle while the shift motor will engage the gear.